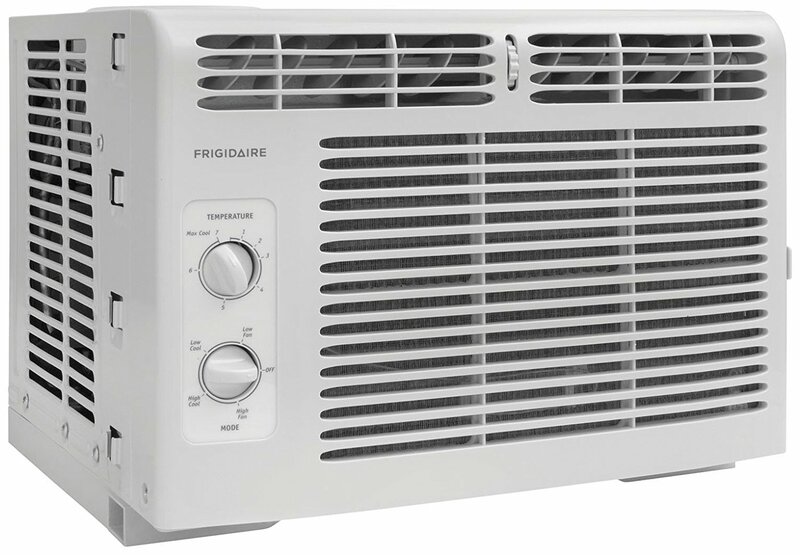 This is the summary of consumer reviews for Frigidaire FFRA0511R1 5, 000 BTU 115V Window-Mounted Mini-Compact Air Conditioner with Mechanical Controls. The BoolPool rating for this product is Good, with 4.00 stars, and the price range is $129.99. Consumers were impressed by this 5,000 BTU AC’s power compared to its size. Even though this Frigidaire is small, many noted that it was able to cool a medium-sized room. 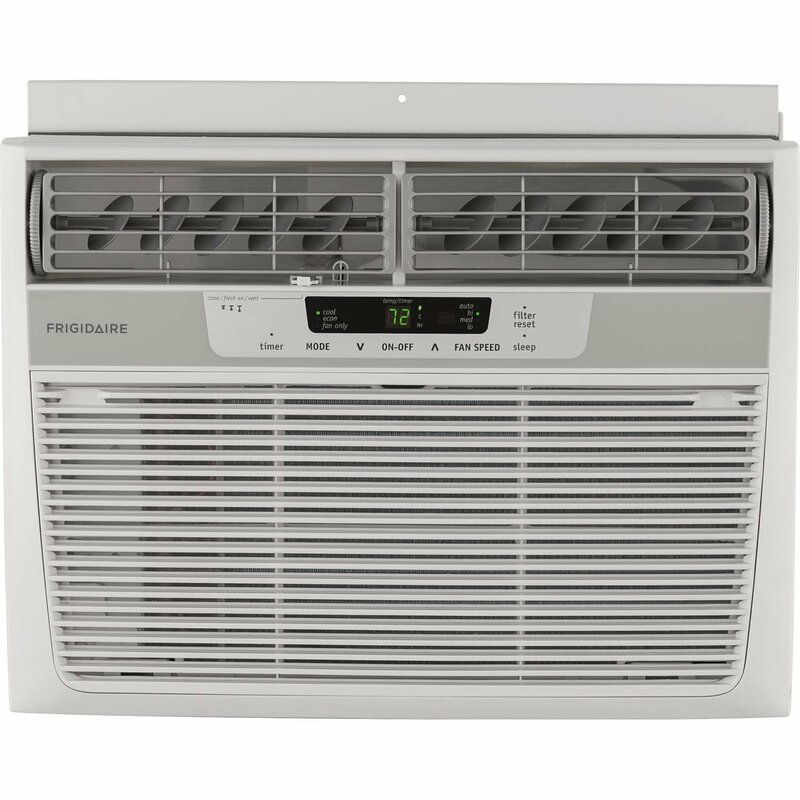 Aside from its low price, consumers enjoyed further cost savings across the board because the Frigidaire energy output is half of most window ACs. The only drawbacks mentioned were the lack of options in temperature control. A certain temperature cannot be set. This Frigidaire unit only has cooling power options and fan speed options through manual dials. In this digital age, some find manual options as a turn-off. Overall this Frigidaire 5,000 BTU unit is a window AC of value. Its small size and mechanical functions give it a low cost. 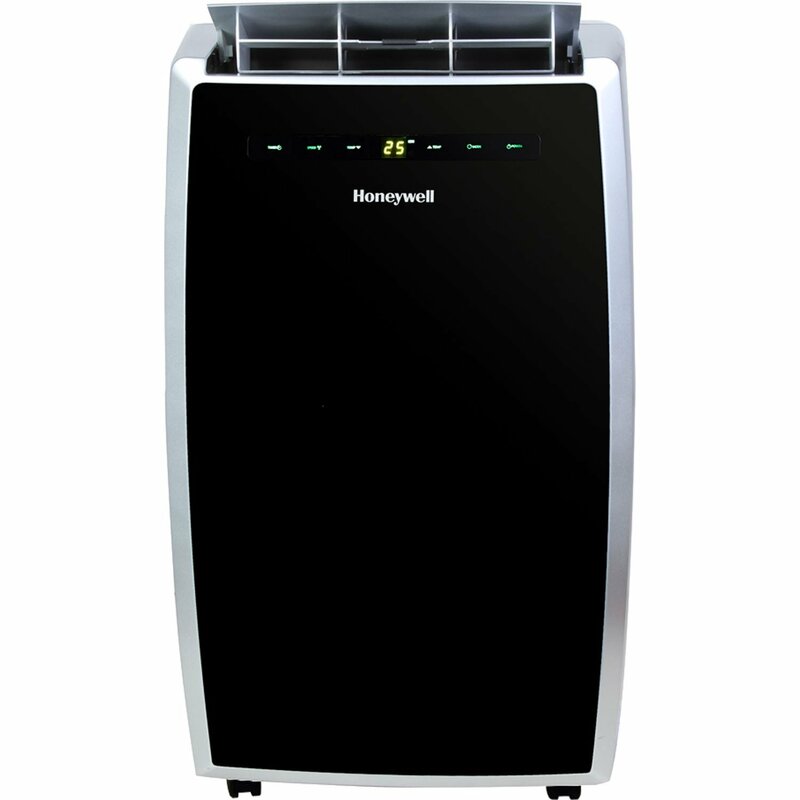 Its 5,000 BTU means it has a low energy output, and as many noted it has impressive cooling power. Easy to install and lightweight. Iâm sticking it on our second story window. Easy install, lightweight sticking it out our second story window. It doesn't fit my window perfectly, My apartment has annoying metal framed windows. Bought this for my kitchen window which is an odd shaped window. The unit itself started pushing out nice, cool air in under a minute from activation. Fits in quirky windows in old building. Extremely quick and easy to install in her bedroom. Also, don't forget to secure the window from being pushed up by using window locks, wooden dowels or tension rods. So as cheap as this window unit was I wanted to try and wasn't disappointed. It's fairly small, luckily small enough, cause it barely fit in our tiny windows. During the summer the second floor of my house gets extremely hot and the first floor stays nice a cold. I'll probably get one for downstairs as well and use fans to push its cold air around. Not sure if that's intentional or not, but it cools my little 7x11 room on hot New York days well enough (we don't have air conditioning, so I needed something). The worst part about this device is the fact that your only options are: Off, Fan on, Fan and Cooling on. So there's no automatic turn off, once the thermostat reaches the desired temperature, the COOLING will turn off, but not the FAN, so it continues to generate a lot of noise even if its idling. One would think "Low Cool" would turn the fan off when its reached temp, but that's not the case. Sometimes it's absolutely bone-chillingly cold; other times it just feels like a fan. I'm not sure why they did it this way when there's a setting for "Low fan" and "Low Cool". This means the fan is always running unless you manually shut it off. It never blows cold air no matter what temperature it's outside. Generally not very loud (my fan is much louder). Works great for our bedroom. For my small apartment bedroom, it works fine. Took only about 20 minutes to install, does a GREAT job of cooling my small bedroom. Cools off our 200 sq ft bedroom fast and efficiently. It took less than one hour and has already cooled my bedroom down from 90 to 70 degrees and dropping. It can easily cool a small apartment if left on high. This's simple, and it WORKS. We live in a split level home and the master bedroom upstairs was so hot I'd to set the thermostat to 67 to get the central air to cool it down enough for me to sleep. Great ac for the price. Works perfectly on âLow Coolâ and setting â7â. Just what I needed! Works perfectly on Low Cool, Setting 7. Just what I needed!. There's a low cool and high cool setting but you can't feel the difference. It cools off the room instantly, sometimes too cold. I then turn it to setting 5 on low cool and it keeps me comfortable all night. It cools a much larger area than you'd expect, even on the low setting. It cooled a small room however was extremely loud. I live in Florida and it does the trick on LOW COOL setting. I've had no issues at all with it not working and not blowing cool air. 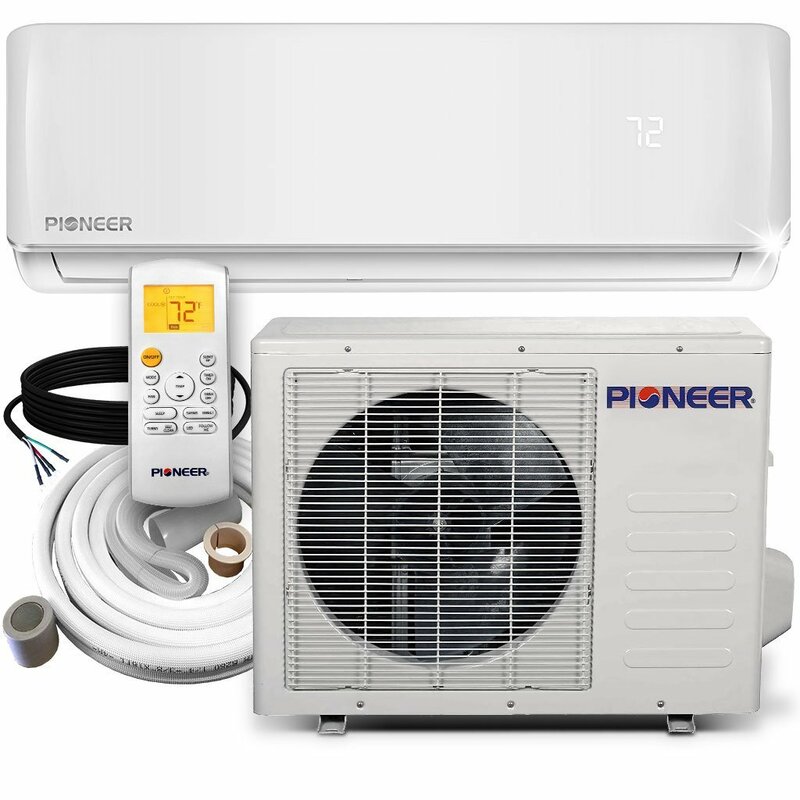 I've a small bedroom that this works perfectly for, getting it nice and cool within an hour on the highest setting. It's not loud at all; it's a nice, low fan sound. I installed this little AC in my cabin living room which is approximately 20â x 20â. I installed this little ac in my cabin living room approximately 20x20. I wholeheartedly recommend this for a small to medium size room. Works great in our 12 x 12 room. 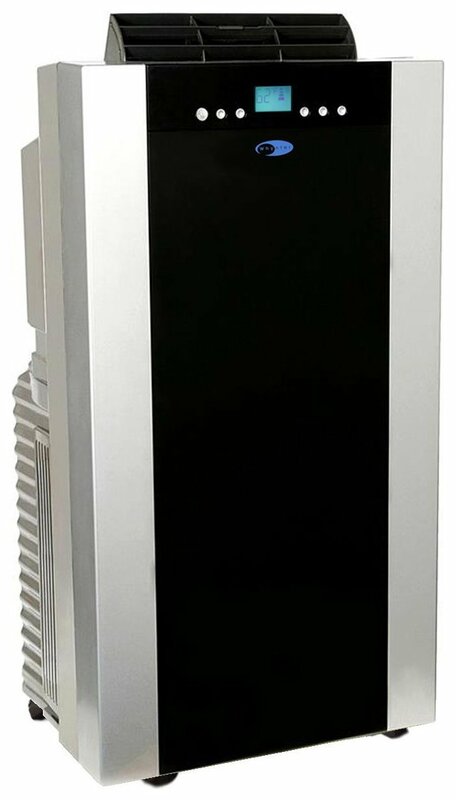 Do yourself a Big Favor; Buy This Room Air Conditioner!. It's not gonna keep a room that size cold but it'll keep it cool enough. Have one for another small room and it worked great so I bought a second. I however have a medium sized living room it makes it breezy ( I put a fan in front of the air conditioner). It was 82 degrees in the room. But I put mine in a bigger room and it's doing a good job. 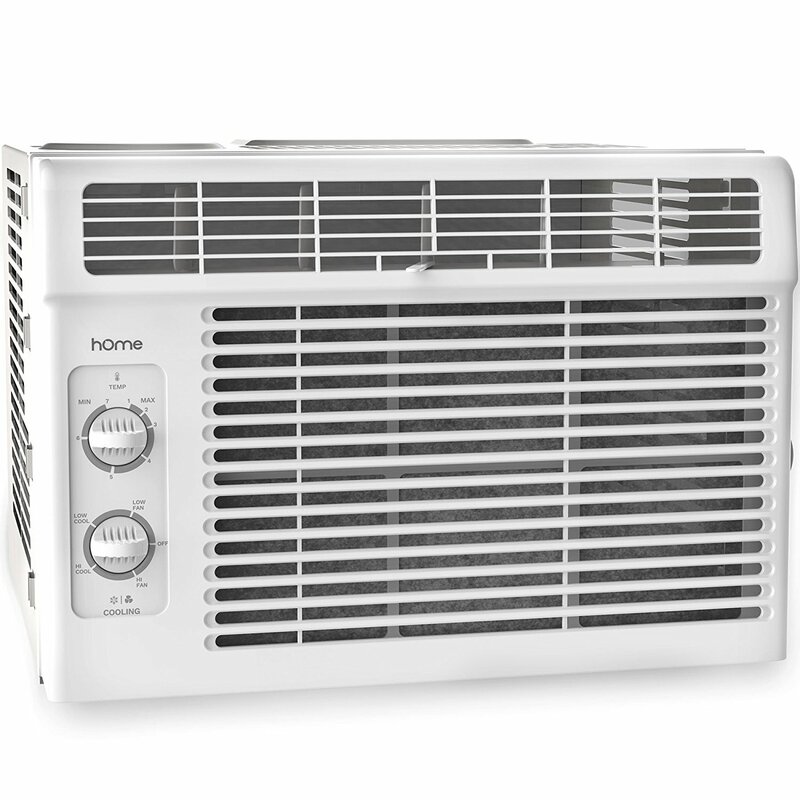 ( 5000 btu) i was surprised how cold the room gets, i've had 5000 btu ac's before and this by far is the best one i ever owned, love that the filter is taken out from the side for easy cleaning and you dont have to open front of a.c. to take out filter, the room ( my daughters) is fairly big not tiny and this's enough, just leave it on low overnight and it gets the job done, i've a 9000 btu a.c. in my room and trust me this one at only 5000 btu is excellent, great buy. Until we get central AC, this little guy will keep us cool for the summer. This little AC has transformed my living room and made it comfortable for the summer months. Also the AC unit is LOUD. Room is about 150sq ft. This ac keeps my room in general about 66-68deg. This little AC unit saved my sleep, my sanity, and probably my life. 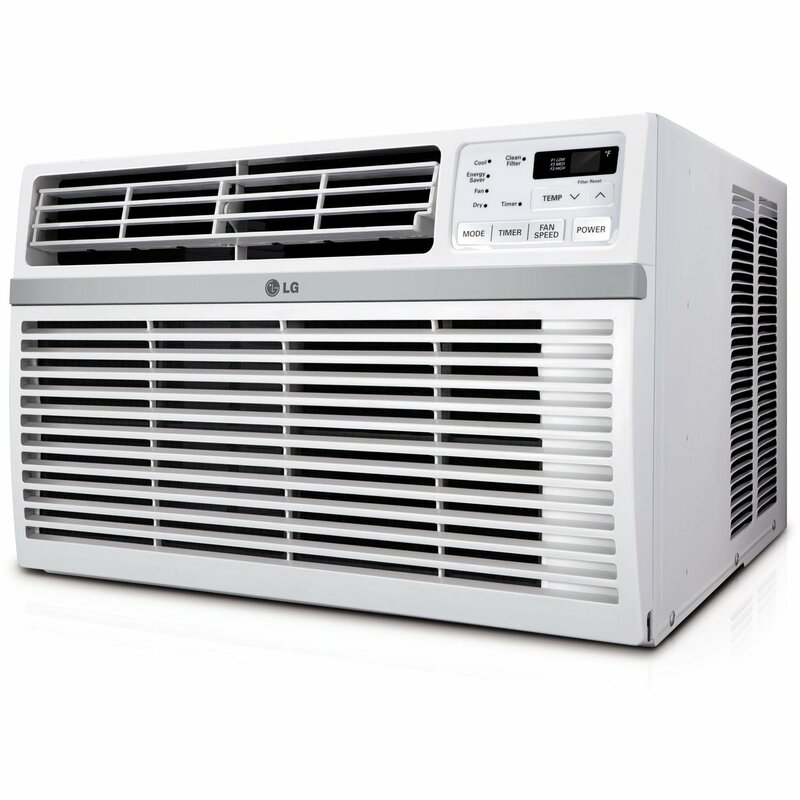 But when I purchased this little AC last summer, my life changed. Anyone saying otherwise probably has no idea how to function an AC unit. I popped this AC Unit into our window in under 20 minutes, and quickly I was reaching for the dial to turn down the cool air blowing from it. I power the AC unit with a Solar System 5000watts 20Amp inverter. That isn't big enough to cool more than a small room. Cools room down quite quickly. 6 speeds, 2 cool speeds, 2 fan speeds, and 2-way air direction. I always keep it on High. Cools room down quite quickly, 6 speeds 2 cool speeds, 2 fan speeds, and 2-way air direction, even though I always keep it on High. Instead of one huge heavy to lift air conditioner, I put two small ones like this in the living room and having cool air from 2 separate positions actually provides more Uniform cool air distribution as well as being easy to lift out of window for winter. It's small and fits in a little window, and very quickly cools the room, if not the whole second story. I used it for my moderately-sized bedroom, and it cools that room off immediately, as well as the adjacent bathroom and living room that neighbors my bedroom. very loud and it doesn't cool the room (150 sq ft; 15x10 living room) down as much as i'd like during the day but is fine at night. It cooled down my guest rooms very quickly and it did an excellent job at keeping both of them cool all day and all night long. The air conditioner flow into his room is good but with the thermostat down on the main floor once it cools off it turns off and his room never gets cool. On the up side of things, it definitely does its job and keeps the room cool. This's a good unit cools the room very well especially if you drain it. This little thing cools my bedroom beautifully! The roof top units just can't keep it cool with these temps. I live in a city where it gets very hot during the summer months, but this little unit does a perfect job keeping it cool. We keep the room at a constant 72 thanks to this little unit. 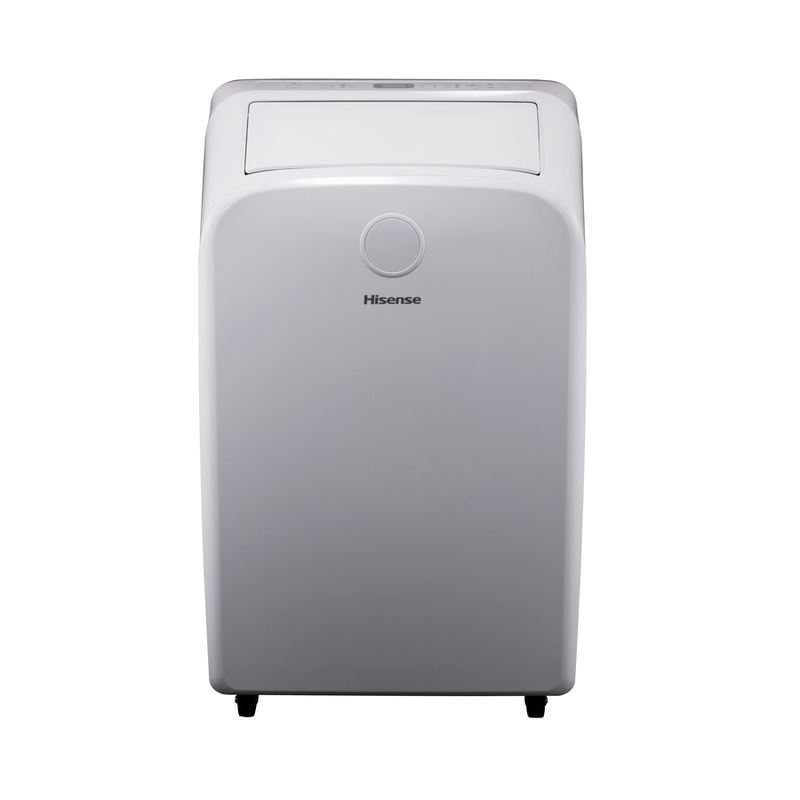 -The unit cools down my medium-sized bedroom in less than 20 minutes. Cools my 14x14 room very effectively at only about a quarter of the max setting (low fan, coolness 5). Set up was reasonably easy, however, the unit didn't fit my window as well as expected. 2. Easy set up and window installation. Ok this may be a little bit of a long review for a window ac unit. This little guy really does the job in keeping the kitchen cool, even with the oven and range top on during hot summer days.